Passed down from Great great grandmother she was from France.. 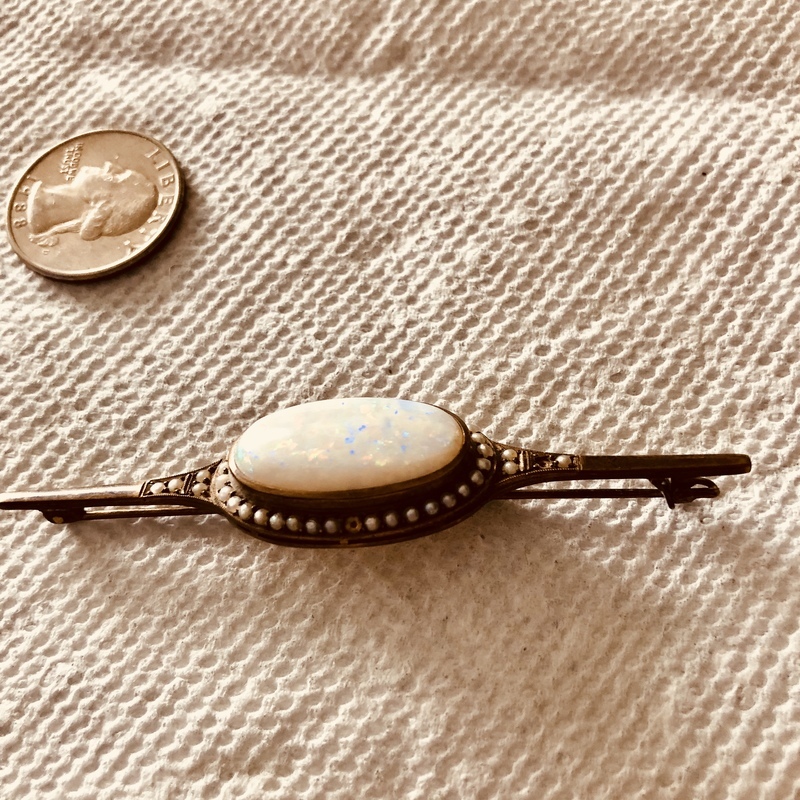 This is an antique early 20th century Edwardian era bar pin from about 1902 - 1905 with oval flat cut 9 grade brightness center opal surrounded by mounted seed pearls (one missing). The metal appears unmarked and the clasp is correct for age and style. These are popular antique jewelry pieces however they are not high sellers on the current market. The estimate is based on actual recent past recorded auction sales of comparables. Retail 'asking prices' may be higher and vary.